SJ-006HB-AG Mobile Cellular Phone Jammer is a cellular phone jammer put in a handbag to protect the jammer from sands, water, all kinds of harm and can be configured to fit any operational demands by installing additional connectors, different types of antennas, power input sources and etc. SJ-006HB-AG Mobile Cellular Phone Jammer offers an effective jamming range for 30 meters maximum, depending on environmental conditions. 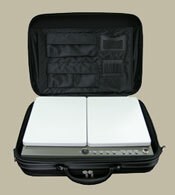 SJ-006HB-AG is a small RF power jammer with handbag design. 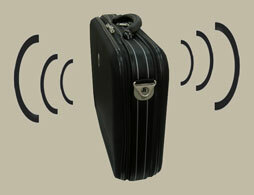 The jammer is designed to protect VIP person or special agent use. 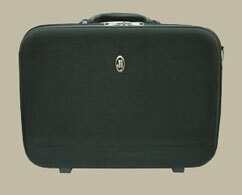 SJ-006HB-AG is developed on explicit requests of the military and governmental institutions around the world. This jammer offers an effective blocking range that can reach about 30 meters depending on environmental conditions. It is easy to carry out to neutralize all kind of cellular phone's signal and the jammer is also protected in a famous handbag from sands, water, all kinds of harm etc.